This British Railways Standard Class 4 freight locomotive is privately owned and used to haul charter trains on the mainline system. Built in 1957 to a 1952 design, 76079 was withdrawn in 1968 and rescued from the Woodham Brothers' scrap yard at Barry Island in 1974. 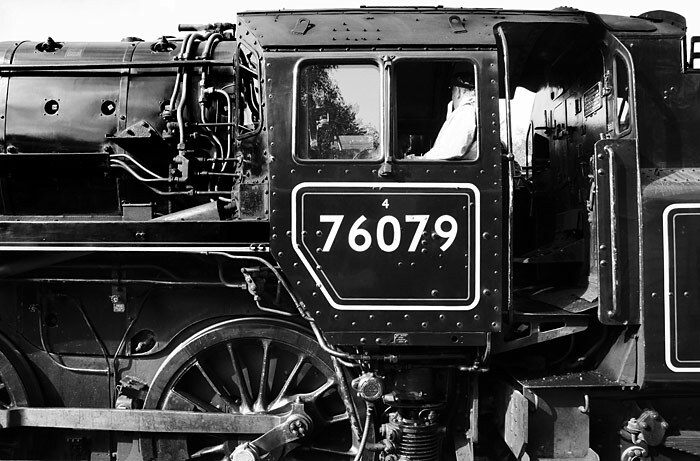 Owned by the same engineering company as 76079, this LMS "Black Five" is can be hired to haul charter trains. 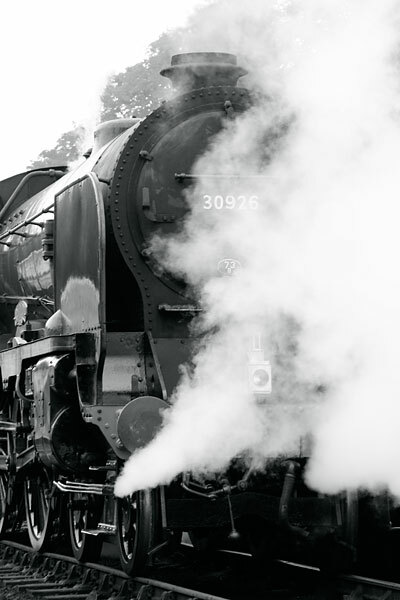 Routes for these include the Settle and Carlisle line and the West Highland Line from Fort William to Mallaig. It was built at Armstrong Whitworth's Newcastle works in 1937. The design of this Great Western Railway "Prairie Tank" by George Churchward dates from 1903. Built for commuter passenger service, 209 were built by 1949. Ten of these have been preserved, with seven rescued from Woodham Brothers' scrap yard in South Wales. 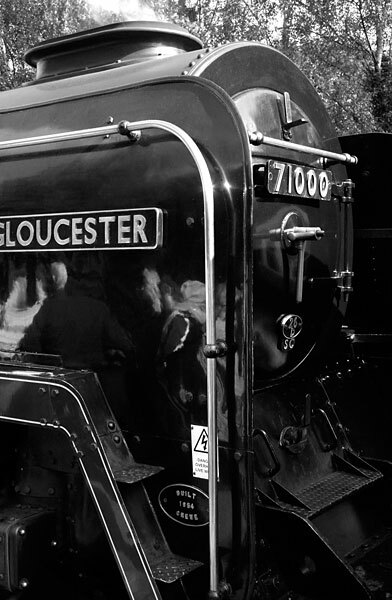 The Somerset & Dorset Joint Railway was formed by amalgamation in 1862 and closed by British Railways in 1966. In 1914 Henry Fowler of the Midland Railway designed freight locomotives for use over the S & JDR's challenging Mendip Hills routes: this one worked between 1925 and 1964. 05 NORTH YORKSHIRE MOORS RAILWAY | 71000 "Duke of Gloucester"
To a design by Robert Riddles, British Railways constructed 71000 as a prototype Class 8 Pacific for use on its top expresses. Power, performance and economy seemed promising but teething problems, Railway politics and the looming abandonment of steam terminated development. 06 NORTH YORKSHIRE MOORS RAILWAY | 71000 "Duke of Gloucester"
71000, withdrawn from service in 1961, lay rusting until bought for preservation in 1974. 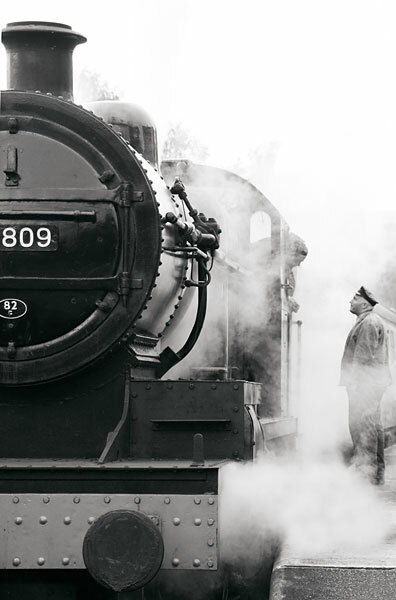 Thirteen years work and technical modifications by the Duke of Gloucester Locomotive Trust has created Britain's most powerful ever steam engine and an immaculate engineering achievement. 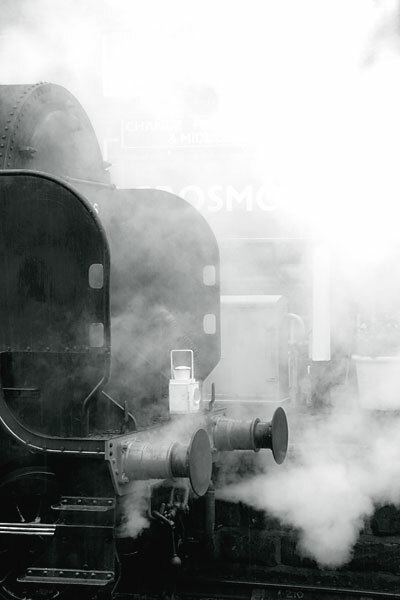 This locomotive was built for the Somerset & Dorset Joint Railway in 1925. It performs as a visitor to the NYMR from time to time and here awaits an early departure from Grosmont on an autumn morning. 08 NORTH YORKSHIRE MOORS RAILWAY | 30926 "Repton"
Some of the Southern Railway's routes had restricted locomotive dimensions that influenced this design. Designed by Richard Maunsell, forty were built between 1930 and 1935, with early examples named for public schools in the Company's territory. In Derbyshire, Repton School itself dates from 1557. 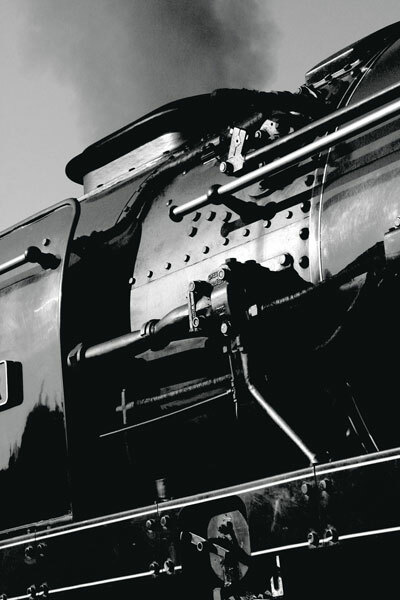 British Railways came into being in 1948 and developed eight standard designs for use across the national system. 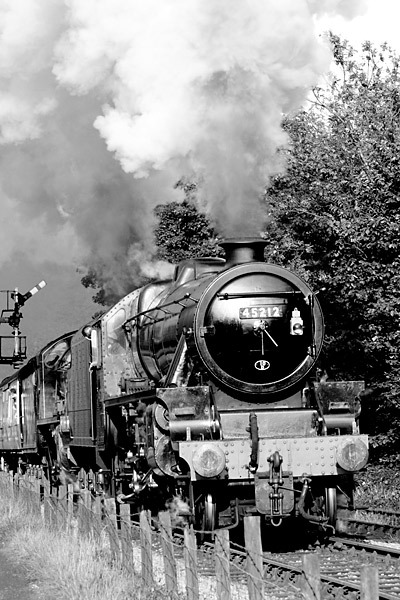 75029 is one of eighty Class 4 locomotives built to a 1951 plan by Robert Riddles, of which six survive. 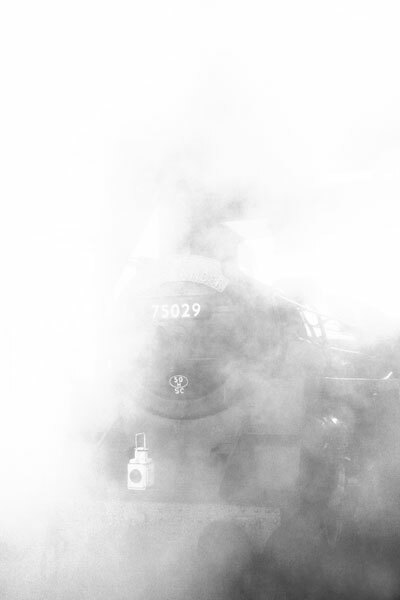 Here, it stands under the coaling tower wreathed in smoke and steam. Number 5224 was one of a number of tank locomotives built in 1923 to haul heavy coal and freight trains in South Wales; Charles Collett modified a 1910 design by George Churchward. This early morning shot shows it moving ahead towards the running shed doors. 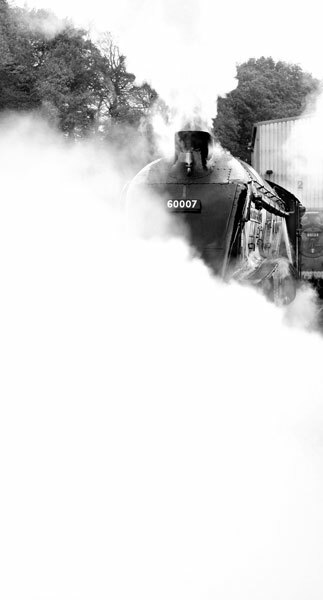 Condensing steam covers most of 60007 as it backs down to its train in Grosmont. Completed in 1935 and withdrawn in 1966, 60007 is one of thirty-five Class A4 express locomotives built for the London & North Eastern Railway and is named after its designer, Sir Nigel Gresley. 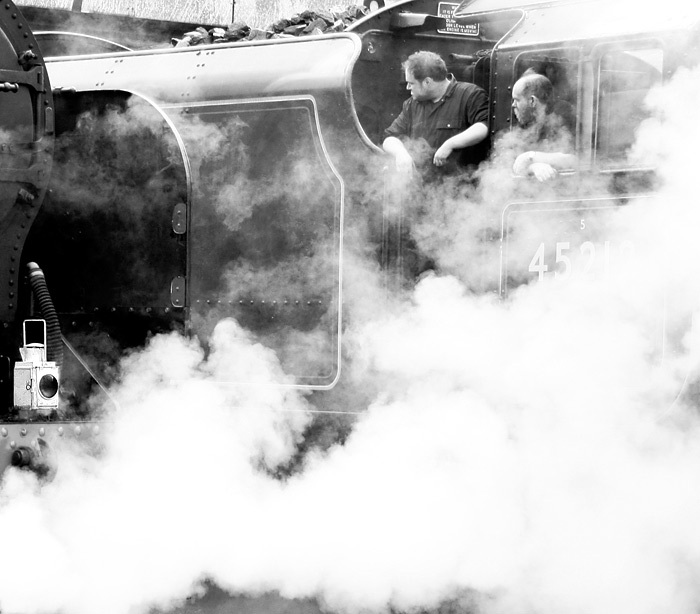 Six have been preserved, with three in steam. 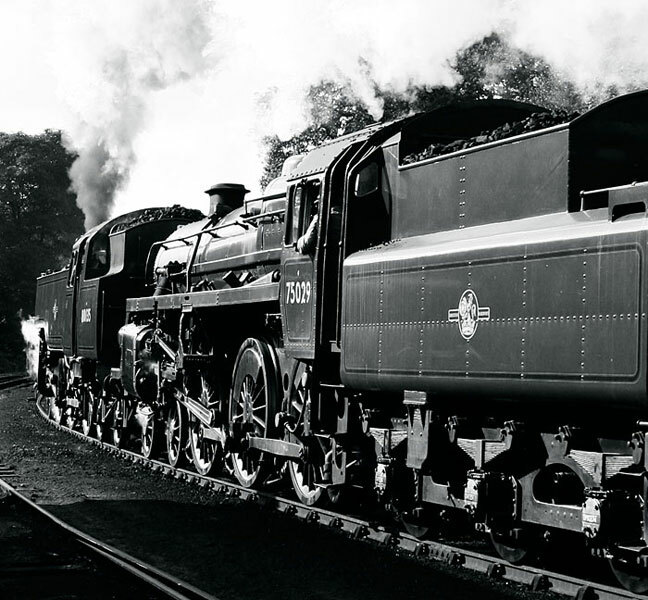 This was the last 4-4-0 locomotive design to be built in Britain and was the most powerful of its type in Europe. 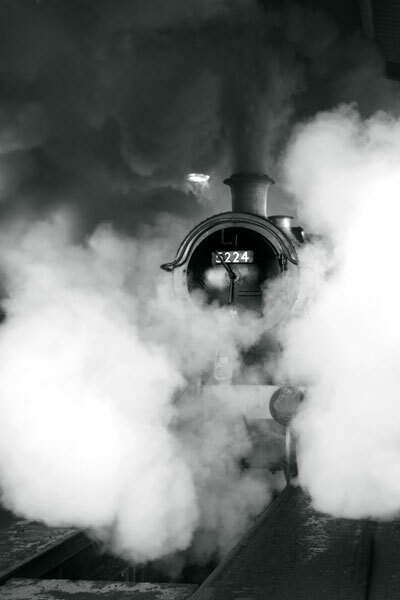 A typical performance on the Southern Railway was the 120 minutes scheduled to cover 116 miles hauling the Bournemouth Limited express from London to the south coast. Completed in 1936, this is one of 842 similar locomotives built to a design by Sir William Stanier for the London, Midland & Scottish Railway between 1934 and 1951. 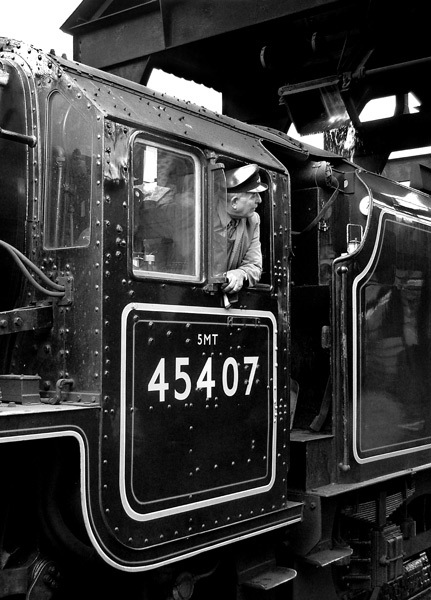 Their black "mixed traffic" paintwork and Class 5 appellation prompted the nickname "Black Fives". 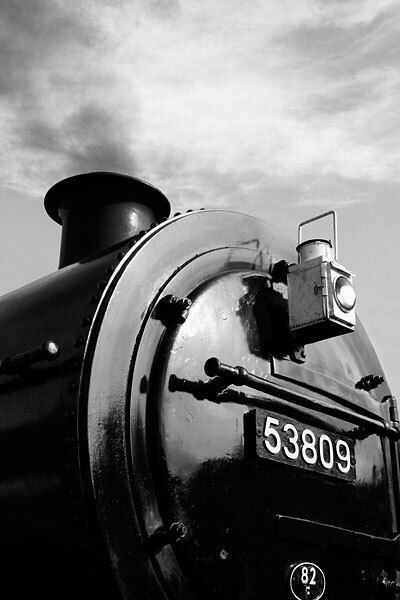 The Somerset & Dorset Joint Railway was formed by amalgamation in 1862 and closed by British Railways in 1966. From 1914 and to designs by Henry Fowler, the Midland Railway built eleven freight locomotives for use over the S & JDR's challenging Mendip Hills routes. Retired by 1964, this 1925 build is one of two survivors. These two British Railways standard designs are taking a train past the Grosmont locomotive depot at the start of the long and increasing challenging climb to Goathland. 75029 dates from 1951 and 80135 from 1956, both built to designs by Robert Riddles. 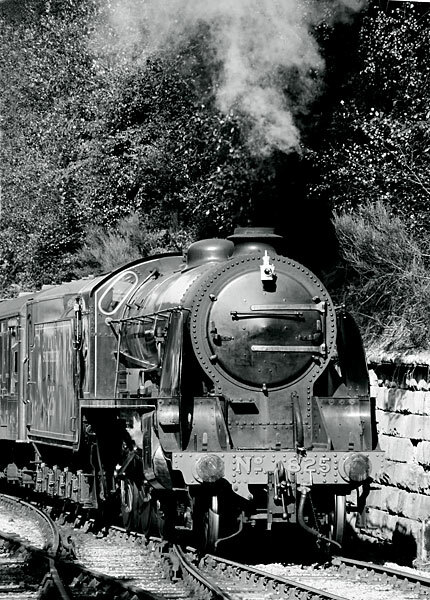 These two locomotives have left the rising curve from Grosmont Tunnel to face the increasing gradient to the summit at Goathland. The first is an LMS "Black Five" and the second a Southern Railway S15 freight locomotive designed for the London & South Western Railway in 1920. At Goathland station, 825 gains the summit of the long climb from Grosmont as the driver cuts the steam supply. 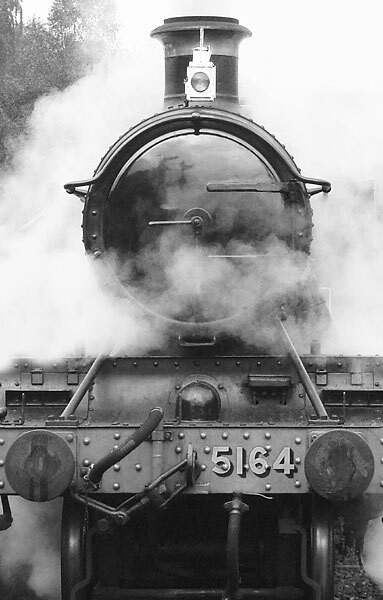 Originally designed by Robert Urie for the L & SWR, forty-five of Class S15 were built between 1920 and 1936. This 1927 version by Richard Maunsell is one of seven that have been preserved. 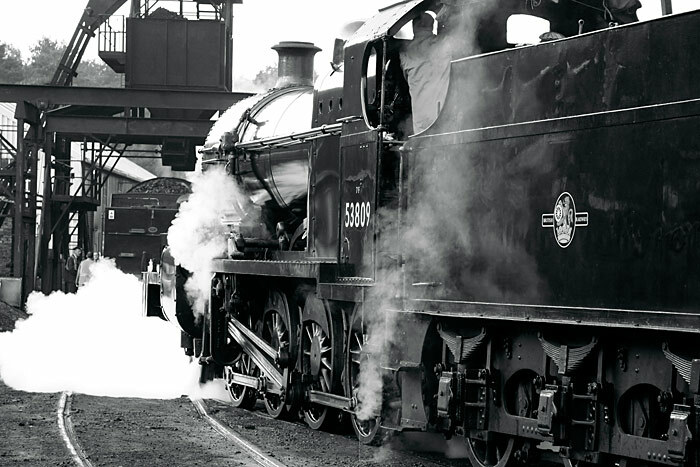 A4 60007 is one of six survivors from thirty-five built in the 1930s; two others, Bittern and Union of South Africa, are in steam in the UK. The Canadian Railway Museum and the National Railroad Museum at Green Bay, Wisconsin, each have one, and the National Railway Museum at York houses Mallard. 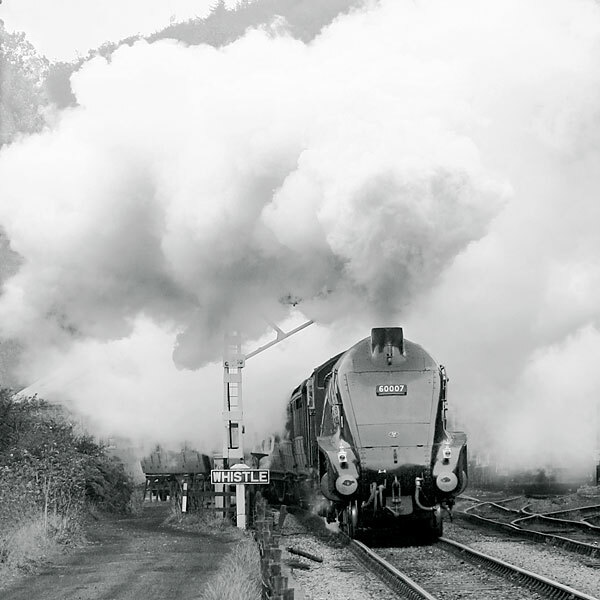 At a technically verified 126 mph, Mallard set an unbeaten speed record for steam locomotives in 1938.